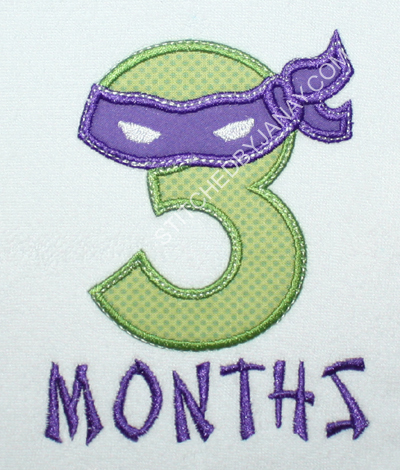 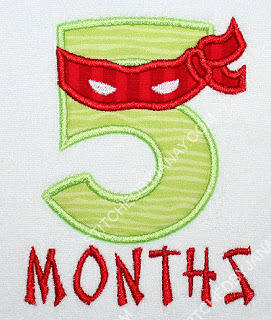 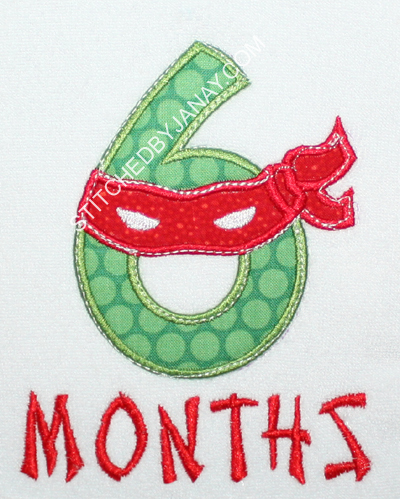 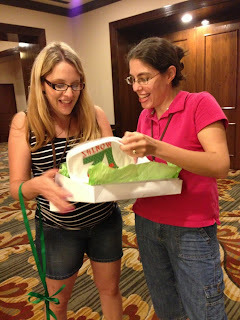 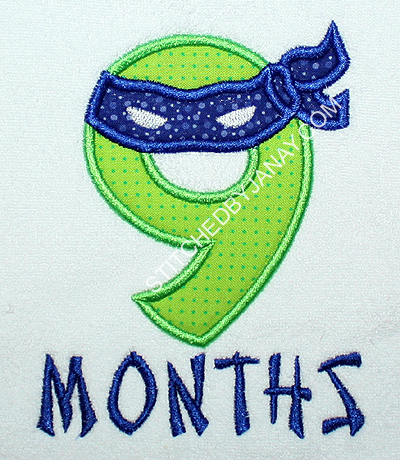 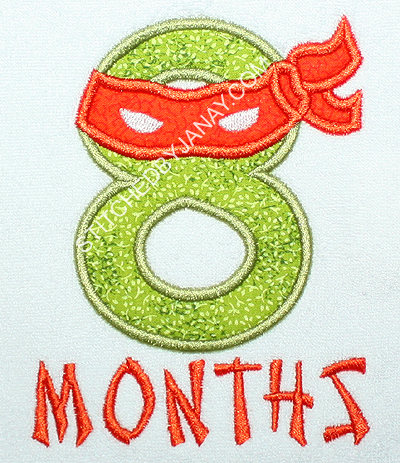 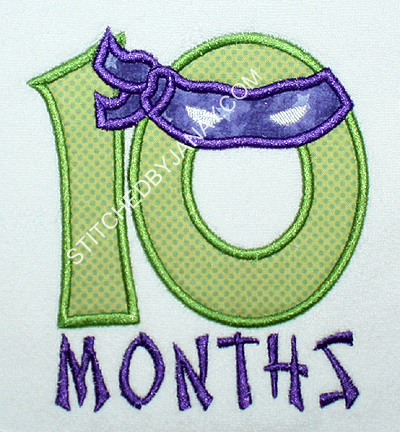 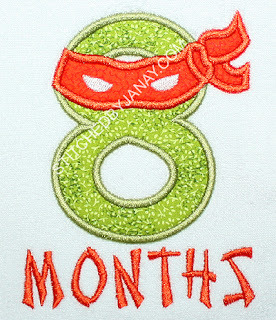 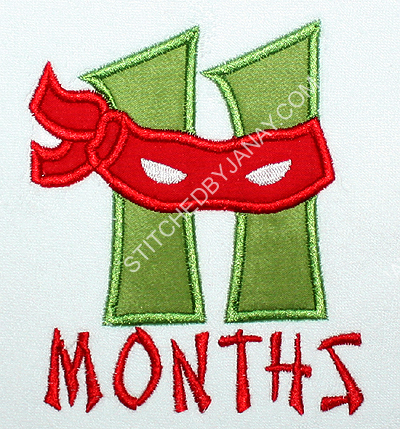 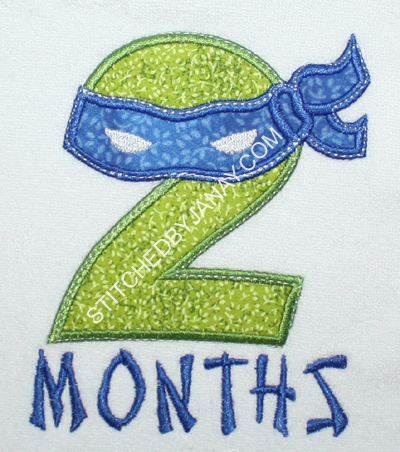 Stitched By Janay: Monthly Milestones, ninja style! 2 comments on "Monthly Milestones, ninja style!" 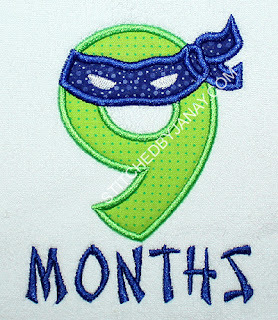 Janay, You are so awesome. 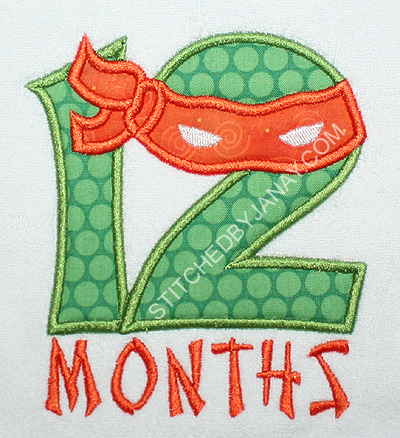 You truly rocked these TMNT designs, all twelve of them. 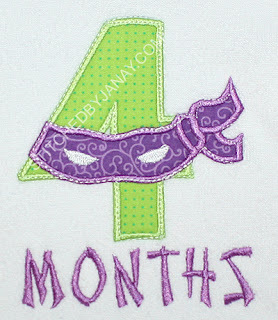 I also noticed the masks are equal in number, you are so detail orientated! 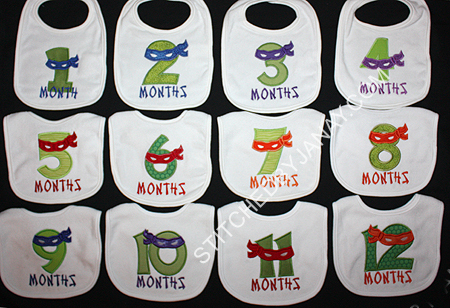 Awesome, I'm sure Lyndsie loves them. 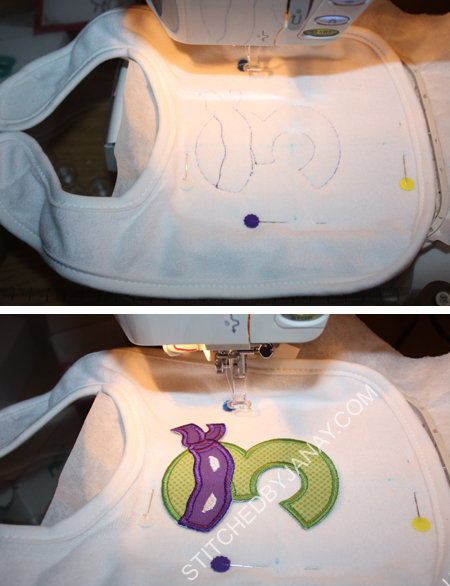 This project is exactly why I enjoy your amazing talent and creativity. 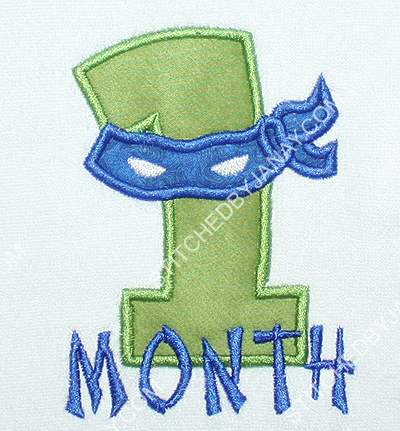 I visit your site rather than keep track of all the many seller sites for embroidery. 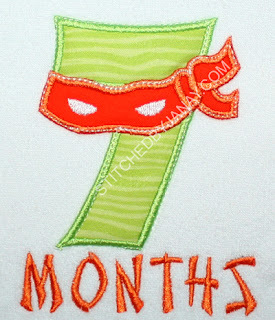 You always have such great ideas and show us so many of the best designs available.